Steel Carnage! Sonic-Speed Destruction Shooting! 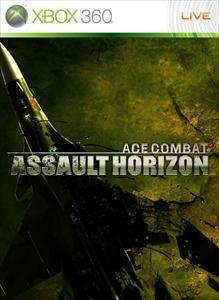 !ACE COMBAT ASSAULT・HORIZON"East Africa", "Russia", "USA", the war is upon the real world!Choose from Supersonic Fighters, Attack Helicopters and Advanced Bombers, appropriate for the various missions!Chase aggressively at high-speed, track your enemy down and destruct your enemy into pieces!